Just a few short years ago, the word “designer” usually meant one thing: graphic design. As demand for digital products has increased, the design market has shifted heavily toward interactivity. Today’s most in-demand designers don’t just create products that look good — they design products that exhibit exceptional design and superior usability. Companies are increasingly more invested in making sure their customers have a positive digital experience, and there’s no sign that trend will change anytime soon. As a result, hiring skilled UX designers is a top priority among businesses. In fact, UX designers are being recruited as heavily as software engineers. A career in UX design can also be lucrative. The median U.S. salary is $70,000 per year for entry-level, and $100,00 per year for a seasoned UX designer. Given the demand and average salary, transitioning from graphic design to UX could be a career move worth pursuing. User experience is a field that’s essential to product development, but remains a mystery to many people because it’s relatively new. Don Norman, co-founder of the Nielsen Norman Group Design Consultancy, is credited with coining the term in the late 90s, and defined user experience as encompassing all aspects of the end-user’s interaction with the company, its services, and its products. It’s important to know and understand the elements of user experience when exploring a career in UX design, as it’s the foundation to being successful in the field. You can find additional information regarding user experience in the following article: What You Should Know About User Experience. 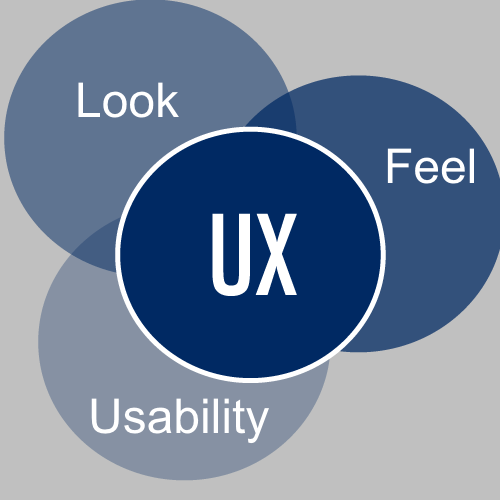 UX encompasses all aspects of the user’s interaction with the product. In general, UX design is the process of enhancing user satisfaction by improving the usability, accessibility, and pleasure provided in the interaction between the user and the product. While UX design as a process can be applied for every product, in this article we’ll describe UX process in the context of web design, creating mobile apps, and other digital products. Essentially, UX design is a human-first way of designing products — it’s all about creating experiences that people can use with ease and delight. A key UX design skill is learning how to make that experience the best it can be. 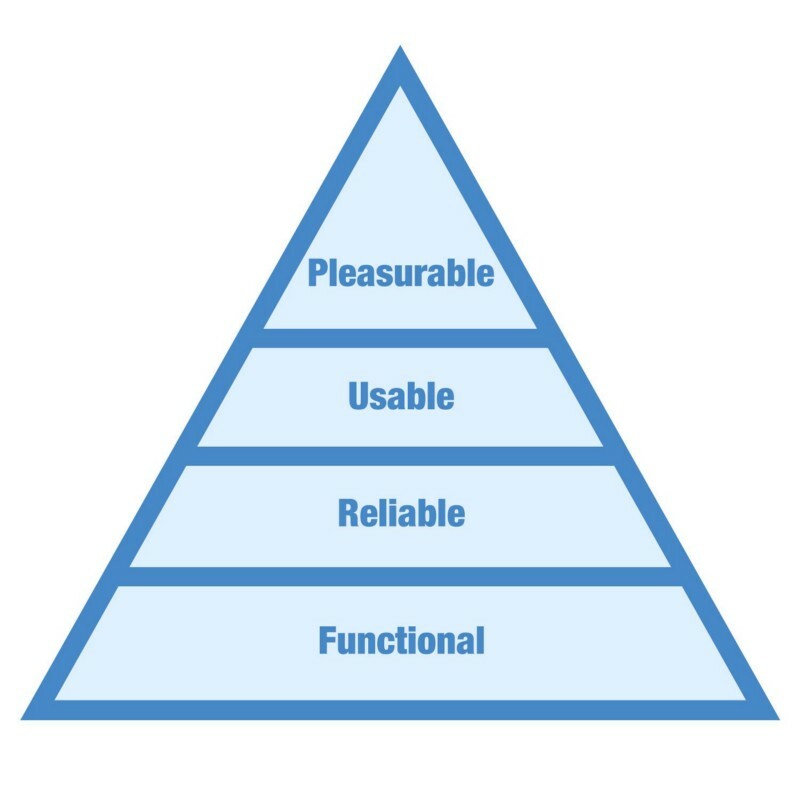 UX designers tend to be concerned with three primary factors — usability, look, and feel. Usability is the cornerstone of user experience. If a product isn’t usable, the user is guaranteed to have a negative experience. The look of a product is the visual appeal. It should satisfy or exceed user’s expectations. The feel is about designing products that are a joy to use. Products should provide a functional and pleasurable experience. However, UX design isn’t solely about the user. Meeting the business goals of the product and aligning the business goals with those of the user is equally as important. 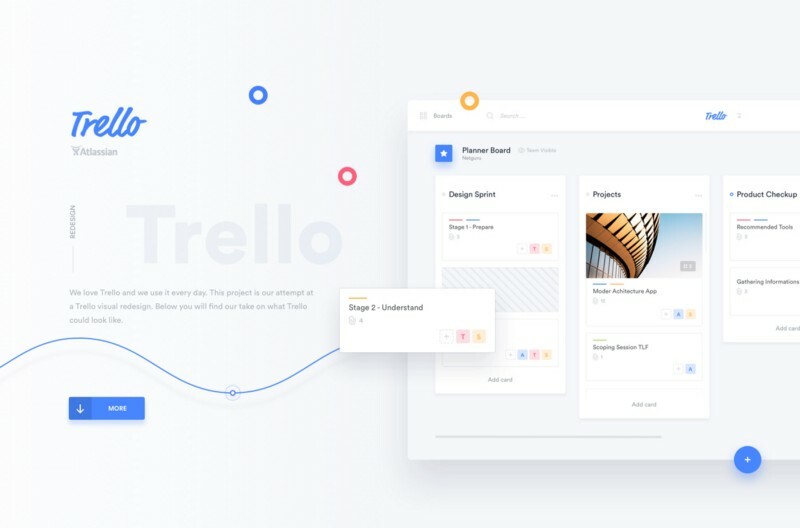 Ultimately, the goal of a UX designer is to connect business goals to user’s needs through a process of research, testing and refinement. 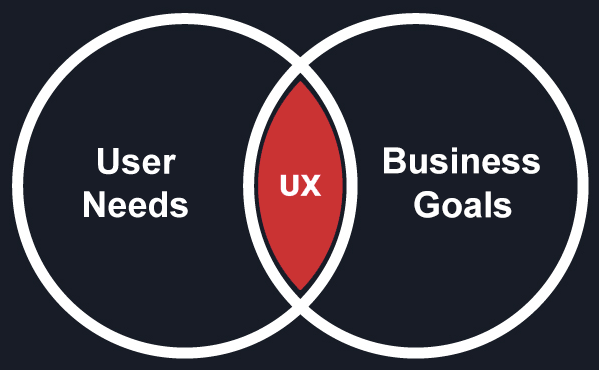 UX design is about finding the intersection of human needs and business goals. Analysis: In the context of graphic design, this is what we call an ideation phase. There’s a major difference for this phase between graphic design and UX design. For UX design this phase isn’t limited to a single step in the design process. It can happen before, during, and after the design solution is implemented. Design: If you have a graphic design background, then you might enjoy this part of the process the most. 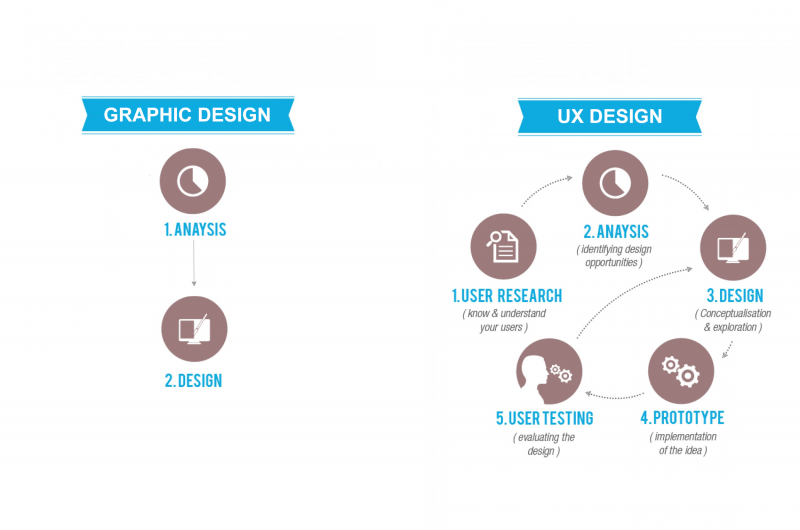 However, there is a difference in this phase between graphic designers and UX designers. While graphic designers try to create a visually pleasing pixel-perfect design, UX designers try to create the best possible experience — which includes graphic design, information architecture, interaction design, and more. Another key difference is that graphic design is linear and the process finishes once the product has launched. For a UX designer, product launch is a single step in the design process. 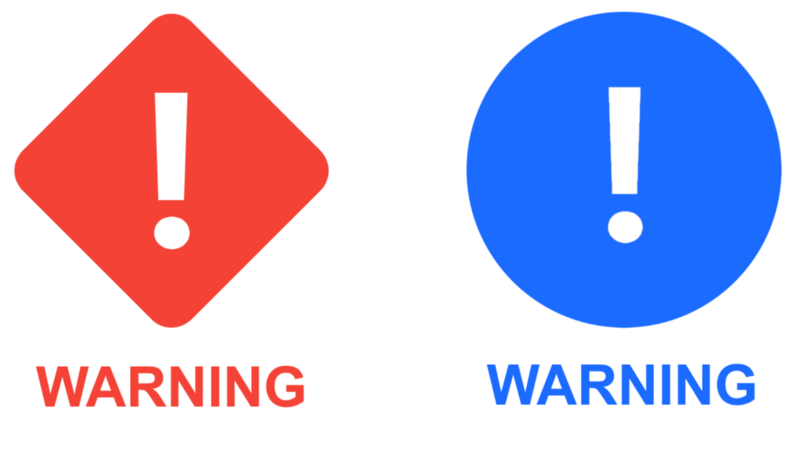 Additionally, there is a loop between design and user testing that does not exist in graphic design. 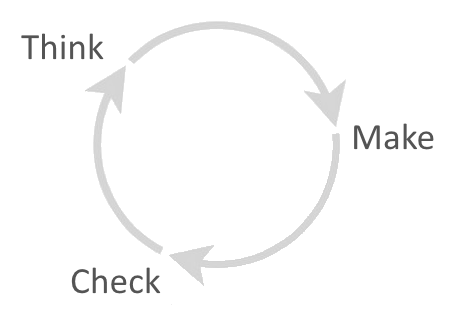 In actuality, the UX design process can be applied to any product, not just digital products. For example, you can apply UX process to design a car, book shelf and more. For a deeper dive into design process, read the following article: UX Process: What It Is, What It Looks Like and Why It’s Important. Graphic design and UX design have many overlapping skills. The career shift may come naturally to those who already have strong design capabilities. Therefore, it’s important to take a nuanced look at how the two disciplines are similar and where they differ. What Does Graphic Design and UX Design Have in Common? Graphic design is about evoking user’s emotions through color, imagery, and typography. UX designers are also concerned with evoking emotion, but they aren’t limited to the visual part of the design. They focus on information architecture, interaction design, and accessibility of design. This makes it possible to create a broader, big picture view of the entire user experience with the product. The old saying “the devil is in the detail” is relevant to design. Design can certainly be in the details, and graphic designers’ skills are often oriented toward thoughtful consideration of details, such as text kerning and alignment of the elements. Designers are problem-solvers. Graphic designers and UX designers are equally skilled at creative thinking and solving problems through design. To understand how creative thinking helps UX design process, it’s essential to define design thinking first, because the UX design process is often based on design thinking methodology. 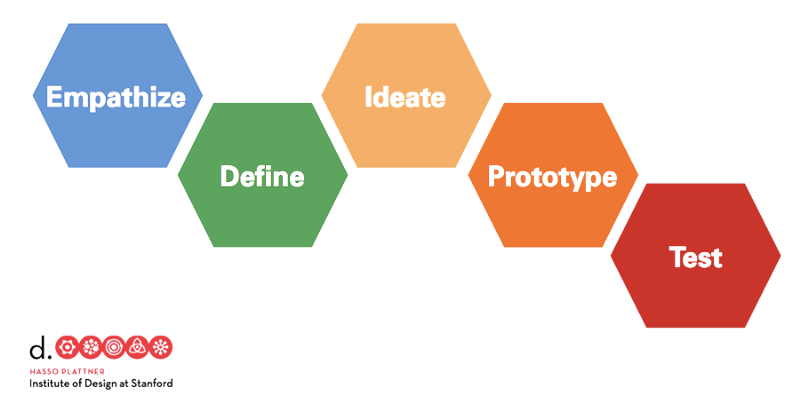 Design thinking is a continuous and evolving process that flows through the following stages: empathize, define, ideate, prototype, and test. Within each stage, problems are framed, and questions and ideas emerge until the best solutions become evident. Design thinking draws upon logic, creativity and intuition to explore possible solutions and to create desired outcomes that benefit the end user. Creative thinking makes design thinking easier because it requires our brains to continuously try to solve the problem using different approaches — which leads to innovative solutions. Conventions are design elements engrained in our minds — meaning our brains use them to quickly assess situations. One of the benefits for graphic designers moving to UX design is that they can make things attractive. Graphic designers have a natural ability to make things aesthetically strong by using alignment principles and visual hierarchies. Aesthetics can have a very real effect on the experience and even usability of a product. Good aesthetics can improve the overall user experience of a product by making users feel better about it. Graphic design skills are an asset while working on a UX project. While graphic designers and UX designers have several skills in common, it’s important to note that UX designers have different end-goals and responsibilities than graphic designers. Since graphic designers are focused on creating beautiful, polished designs, they often use high fidelity prototypes as deliverables to fully communicate design concepts. A graphic design background can result in graphic designers developing visual layouts too early in a project. UX designers, on the other hand, select fidelity according to the project needs. They often try to find the most appropriate level of fidelity in order to make the design process efficient. Sometimes a rough sketch on a piece of paper is everything you need to deliver the main idea at the beginning of the project when you have a dozen different ideas. Understanding when it’s time to produce highly polished work is a key mindset integral to UX design. “The user comes first” is perhaps the most fundamental rule for UX design. This is because UX design is designing for use rather than communication or aesthetics. Unlike graphic designers whose main focus is aesthetics, UX designers are focused on users and how they interact with the product. UX designers want to make life better for people and put the needs of the user in front of their personal preferences when they design. Designers who enter the field of UX should fight the natural tendency to “design for yourself” and instead design for the target users. UX designers should be able to understand people’s needs and motivations, so the designer can capture the inspiration and purpose driving the product. UX designers work closely with other designers, developers, and stakeholders in order to ensure that the end designs match everyone’s expectations. UX designers should have clarity of expression and possess the ability to express complicated concepts clearly to those with little or no prior knowledge in the field. A key part of the UX design process is research. UX designers focus on both generative research (product research focused on understanding user’s needs and contexts), and evaluative research (user testing focused on understanding whether or not designers achieved goals). Product research isn’t limited to a single step in the design process. It can happen before, during, and after the design solution is implemented. Graphic designers looking to switch careers will need to spend a significant amount of time learning how to conduct product research and user testing. 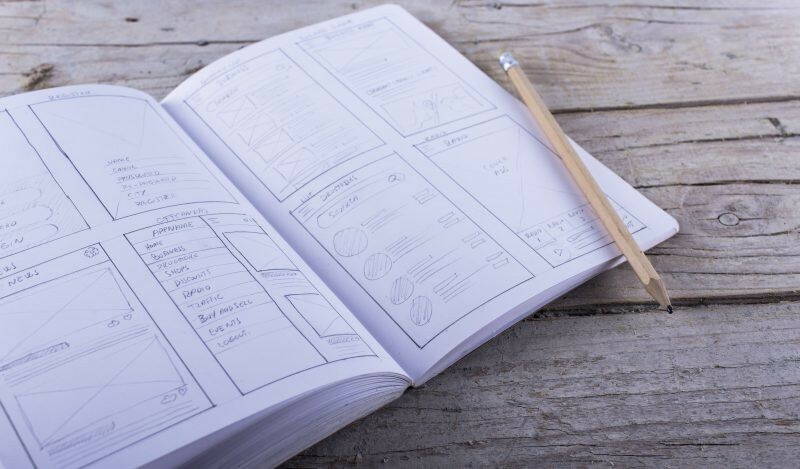 UX design is very much an iterative problem-solving process, and this approach can be different from the traditional linear process of graphic design. In the case of UX design, you don’t have a final solution for the problem, only the constant search for the better solution. The design process never ends. In fact, the design will be continually adjusted according to user feedback. That’s quite different from what graphic designers do and may require some mindset shifts for graphic designers who would like to make the transition. Unlike graphic design, there is no finished piece. Graphic design is a specialized discipline, and there is a certain set of skills, such as typography and color theory required to produce great visuals. UX design, on the other hand, is much more multidisciplinary and involves many schools of knowledge. Part designer, part researcher, part project manager; the UX designer role is complex and challenging. Since the field of UX is always changing, good UX designers know that they continuously have to learn in order to create the best product. Every time a new market is approached, it brings new challenges for designers. University education: The top universities, such as Carnegie Mellon and York University, provide specialized courses on human computer education (HCI Programs, MSc). The programs are not cheap, but they offer a solid UX education. If you live in a major metropolitan area, you may apply for a class-style program, such as General Assembly. If you don’t have access to class-style programs, don’t worry. A lot of great education programs are available online. Platforms like com, udemy , CareerFoundry are perhaps the best introduction to the field. Courses range from self-taught to structured sessions with assignments, interactions with mentors, and other students. If you don’t have actual projects where you can apply UX knowledge, you can participate in the Daily UI Challenge and include your favorites in your portfolio. DailyUI is especially good for beginners because it helps you boost your skillset while creating a social presence. Be sure to make it clear in your portfolio that it’s academic work. Design your own ideas and passion projects. For example, you can reimagine existing websites or mobile apps. Take an app you use every day and find things that annoy you. Think about how you’d make it better. From there, write down the solution, sketch it, mock it up, and try putting together a prototype to show your idea. Don’t overlook the value of volunteer projects. Many companies bring creative people together, so you can learn from others while building a portfolio. It’s also a great way to get involved in your community. Last but not least, you can gain more practical skills by taking an active part in UI and UX design on your current project. Push beyond your job description and do UI and UX design on digital design projects. Get into the habit of asking for feedback on your work. Mastering an efficient prototyping tool is essential to any UX designer. When asked what skills they look for in UX designers, 42 percent of managers said ‘knowledge of UX tools’ is the most important factor in hiring. While graphic designers may already be familiar with creating web and app designs, creating interactive designs without a prototyping tool has one major problem — such designs are static. When designing an interactive experience, it’s essential to use the tools that make creating interactive prototypes possible. While there are many specialized UX tools, an overlap exists between the two disciplines’ toolsets — which is good new for graphics designers looking to make the switch to UX. If a picture’s worth a thousand words than an interactive prototype is worth a thousand pictures. Interactive prototype makes it possible to truly experience the product. Another great way to develop your career is to work with a mentor in the UX field. A mentor is a friend — an expert in UX design and your friend at the same time — to whom you can ask advice. These people can guide you toward the appropriate UX speciality and introduce you to valuable contacts. Employers consider relevant professional experience and the applicant’s design portfolio when hiring a UX designer. Basically, you become a UX designer by showing you can do UX design. The most important section in your portfolio is the one that has information about your projects. Showcase your graphic design work and use it to your advantage. Visual designs, brand identities, logos, and infographics are all important for your portfolio. People are visual creatures and enjoy viewing a beautifully crafted design. In fact, Behance is a perfect place to showcase your work. It’s best to embed videos that explain the product you designed, and to include working prototypes that users can interact with while evaluating your product. Showcase your prototypes in Adobe XD Behance Gallery. Be sure to tag your UX designs with #MadeWithAdobeXD. Get involved with your local UX community. Look for local “hackathons.” These events are great for both practicing UX design skills and working on an idea with real people in a team-setting. Join local UX-related groups and start engaging in conversations. You’ll eventually build an amazing peer network. Attending design conferences is a great way to get your foot in the door. Be active on Twitter by following designers you admire or want to learn more about. Here are just a few names: Don Norman, Luke Wroblewski, Steve Krug. Not only will you learn a lot from them, you can also interact with their followers who are mostly designers like you. Many people believe that UX is an exclusive club and only those with the right talent and extensive training can join, which is not true. If you want to change from graphic design to UX design as a career, it’s not going to be as difficult as you might think. While there is a gap between graphic design skills and UX design skills, it’s not an insurmountable one. Graphic designers already speak the language of design; they just need to brush up their skills to include those that are unique to UX design. Last but not least, don’t forget about tools. Adobe XD tool is the fastest way to turn your ideas into beautiful experiences. Design, prototype and share — all in one app.